CLEAN SWEEP is a naval term that came to us from the 1650's Anglo-Dutch naval war. Dutch Admiral Maarten Trumpt, after a decisive victory over the British, hung a broom from his mast to indicate he had "Swept the British from the Seas". 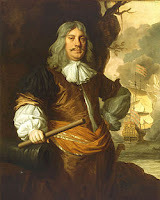 The British Admiral promptly tied a whip to his mast claiming he would "Whip the Dutch". Evidently the Dutch were the most convincing as brooms are still hoisted to claim victories and no one ties up a whip. World War II submarines would fly a broom at the mast returning from their 45-60 day patrols if they had sunk every enemy ship they engaged. All volunteer crews had the most dangerous duty with the highest death tolls. The 70 enlisted and 10 officer crews lived in very restricted areas, with the men sharing bunks, with 3 toilets, 2 sinks and 2 showers. Although I have never served aboard a submarine, I have visited aboard several. My ship, the USS YUMA ATF94 once towed one from San Francisco to Pearl Harbor, a rough ride for 11 chiefs on the towed sub. Commander Dudley "Mush" Morton and his crew aboard the SS Wahoo were he most deadly. 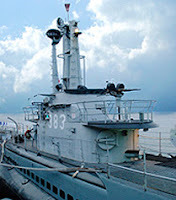 A sub carries torpedoes, has a 102mm deck gun, a 20mm anti-aircraft gun, a .50 caliber machine gun and small arms. 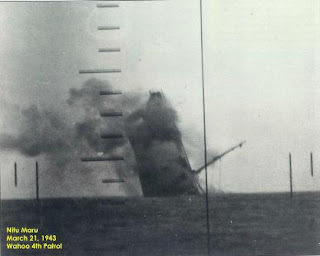 Most subs returned to base when they used all their torpedoes. Not "Mush". He would surface among a convoy, guarded by destroyers, and use his deck guns. 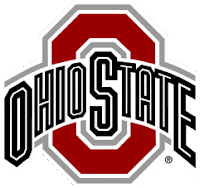 I follow four high school football teams plus Ohio State, Navy and West Virginia. MY HIGH SCHOOL TEAMS MADE IT A CLEAN SWEEP TONIGHT. Glad all your high school teams won! I know you are a happy camper.